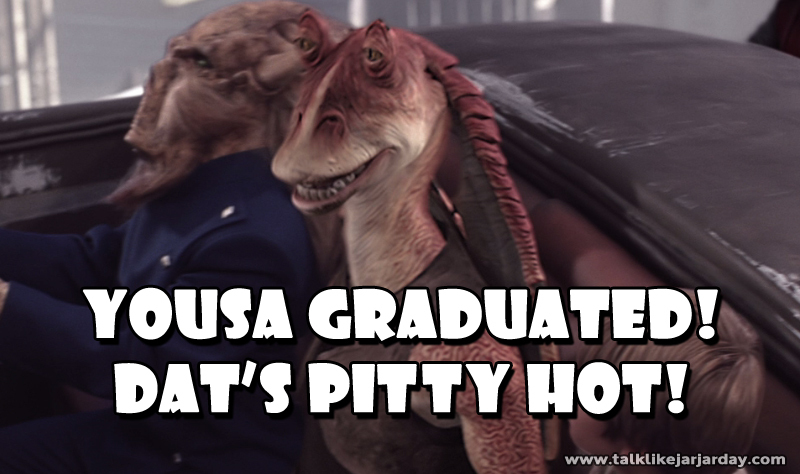 Yousa graduated! Dat's Pitty hot! 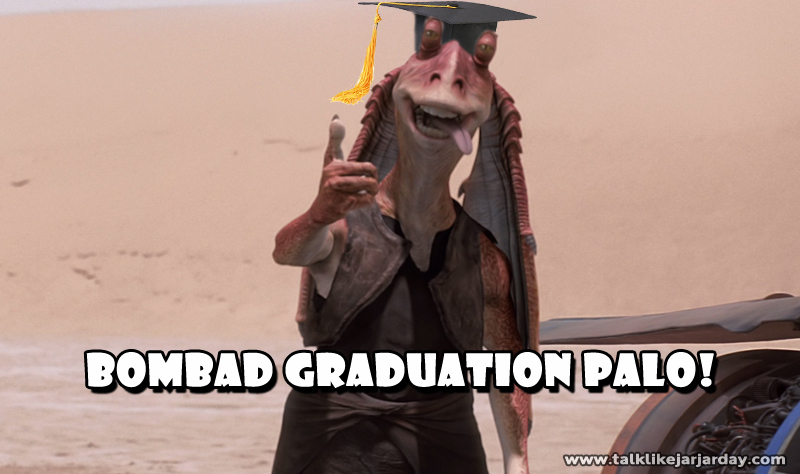 Congrats Grad! 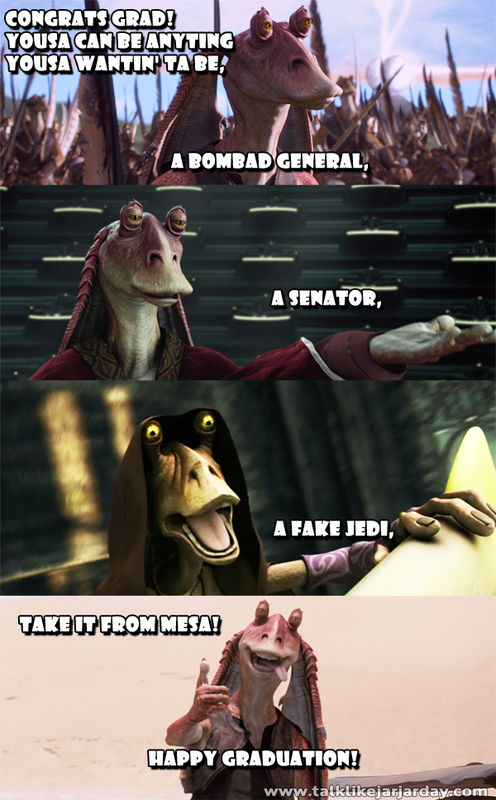 Yousa can be anyting yousa wantin' ta be, A Bombad General, A Senator, A fake Jedi,Take it from mesa! Happy Graduation! 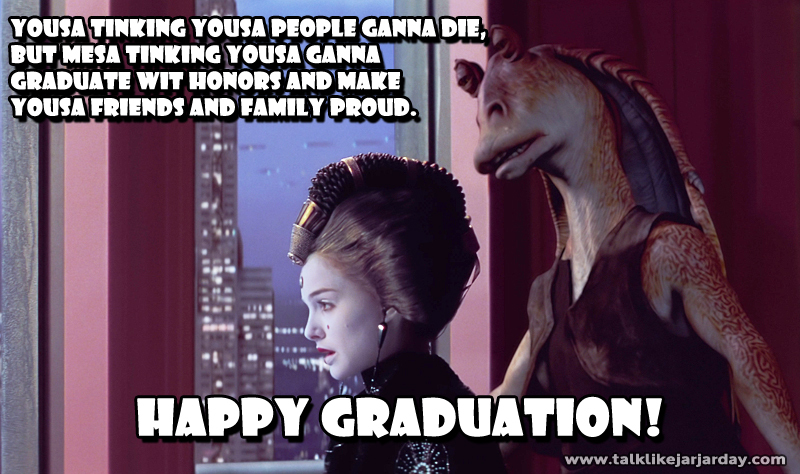 Yousa tinking yousa people ganna die, but mesa tinking yousa ganna graduate wit honors and make yousa friends and family proud. Happy Graduation!